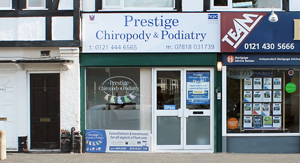 Prestige Chiropody & Podiatry offer a wide range of treatments from our clinic based in Kings Heath, Birmingham. We also offer home visits and have experience treating patients with dementia, multiple sclerosis and also post-stroke. Did you know that if you are a member of the Birmingham Hospital Saturday Fund or any other similar organisation, you can reclaim some of your Chiropody treatment costs. As Tammy is registered with the HCPC just ask for a receipt. 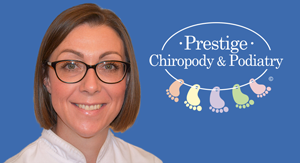 Prestige Chiropody & Podiatry are stockists of a number of market leading treatments and aids, ranging from creams to insoles.